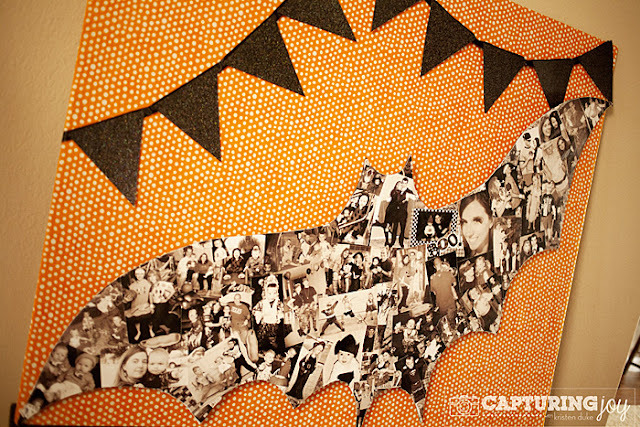 Via text messages from Kristen I have been watching this fun bat collage come together for a couple of days and am excited that you can now check out this fun personalized Halloween idea. Kristen, always a huge fan of decorating with family portraits, added her passion to this fun DIY Halloween decorations. You can check out her Halloween bat collage over at Eighteen25.